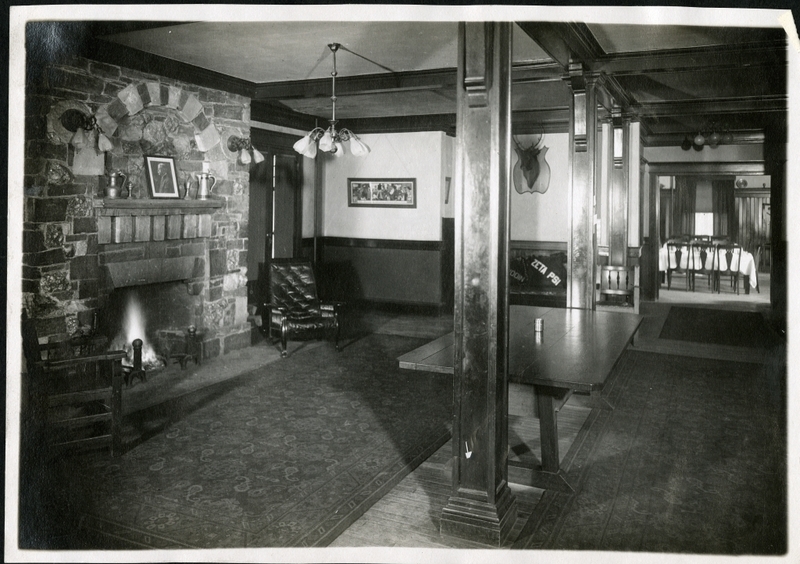 Photograph of fireplace at the entrance to 14 College Street, Zeta Psi. Dining area seen at the top right. Catalog number 2040 shown on the reverse.